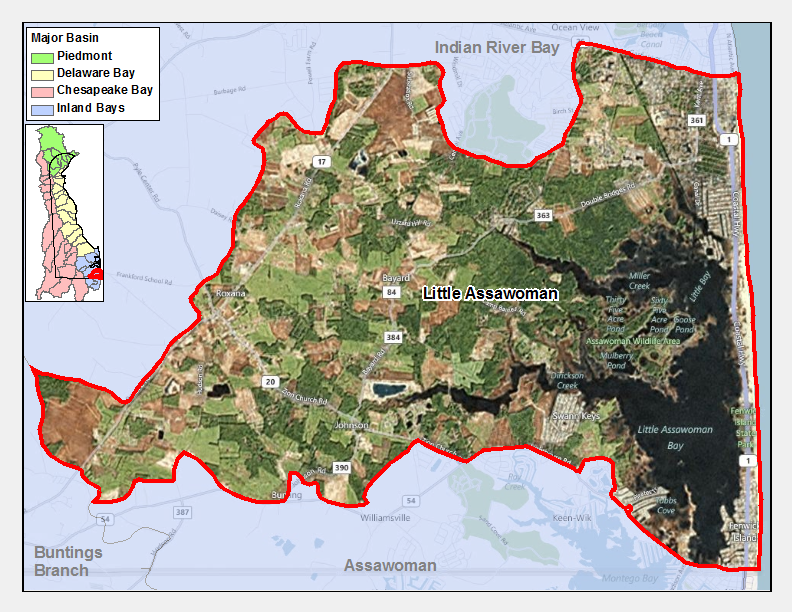 The Little Assawoman, Assawoman, and Buntings Branch watersheds are all part of the Little Assawoman Bay, and drain an area that extends from the Assawoman Canal to its confluence with Little Assawoman Bay on the southeast coast of Delaware. 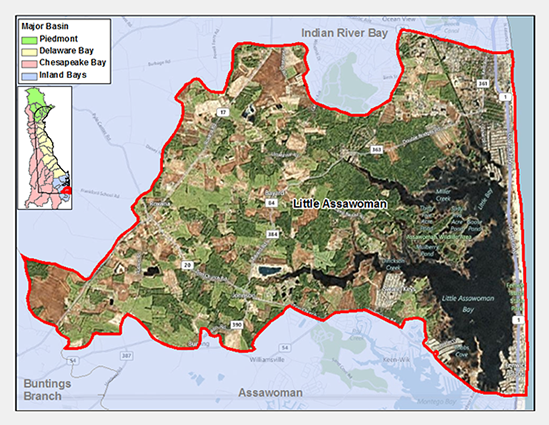 Little Assawoman Bay has a drainage area of 2.3 square miles. The major drainage areas in the watershed include Dirickson Creek and Miller Creek. 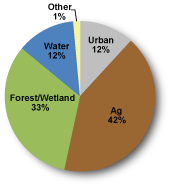 There are nutrient and bacteria TMDLs for the Little Assawoman Bay Watershed which requires a 40% reduction in nitrogen and phosphorus, 40% reduction in freshwater nonpoint bacteria, 23% reduction in marine nonpoint bacteria, and a cap on point source bacteria at a geometric mean concentration level of 35 CFU enterococcus/100mL until all point sources are eliminated as required in the 1998 Inland Bays Nutrient TMDL Regulation. The Little Assawoman Watershed has four sites listed in the Site Investigation and Restoration Section database. Two sites are state-fund lead (HSCA) sites, one site has undergone a preliminary assessment / site inspection (PA/SI) and one site is listed as a Formerly Used Defense Sites (FUDS). If you would like to view reports for any of the sites in the SIRS program please follow the link the DNREC Environmental Navigator to search by map for the Little Assawoman Watershed.